There are 3 ways you can get an inexpensive small business loan with bad credit. Before you do anything, it’s important to know what your credit score is. Your score means different things to different lenders. The better the score, the more available money will be. Know what it is and do everything you can to correct any credit report errors. It’s not that tough and you can do it yourself for free. According to Entrepreneur.com, only 25% of small business loans come from banks and credit cards. That means there is a lot of money that funds small businesses coming from other sources. One of those sources might include friends and family. If people know you to be a responsible person who does what she says, they’ll be happy to help you along your way. They want to see you succeed. Show them your business budget and plan. Share your dream with them. They might surprise you with their support. Another way to expand your choices is to slow down. There are tons of bad credit lenders out there who love people like you – because they know you are desperate, have few choices and need the money fast. As a result, they’ll rake you over the coals and charge you sky-high interest rates. But you can do a great deal to disarm these predators. Try to lengthen your timeframe. If you need a car to make deliveries, do you have to buy one today? Can you borrow your brother’s extra Chevy for a few weeks instead? Think of tactics like this to give yourself some breathing room. If you do, you’ll save a bundle. If you can reduce the pressure to get the money quickly, you expand your options and reduce your cost. I’m a huge fan of peer-to-peer lending. There are a number of companies out there who put people who need money together with people who have money to invest. The rates they charge are often much lower than bad credit lending firms. Why? Because each firm sees and understands different things about you based on the credit score. Don’t assume that just because you have a bad credit score, everyone is going to treat you the same. Each company has underwriters who are actually human. They interpret your credit history differently, so take advantage of it. Peer-to-peer lending is often a much better choice than bad credit lenders and payday lenders. They work on volume and they facilitate loans of all quality. 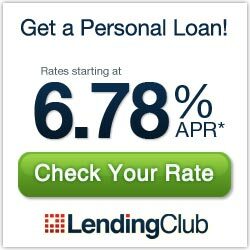 The people who just do bad credit loans need to make lots of profit from each loan they make because they only do bad credit loans. The peer-to-peer lenders deal with private people who just want to be fairly compensated for the risk they take. These people aren’t predatory and they aren’t dependent on squeezing every last dime out of you. What are other sources of small business loans if you have bad credit? It’s so important to present yourself, your business model and your financial statements as attractively as possible.